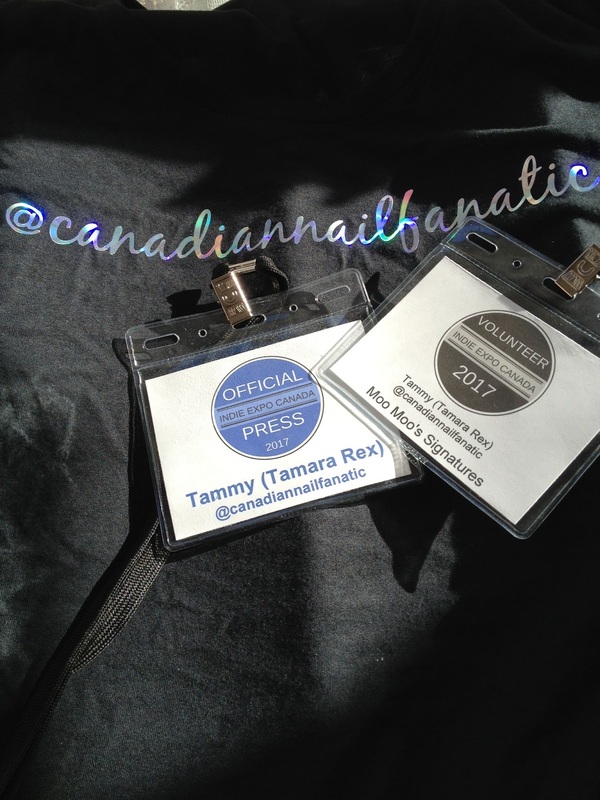 I had the privilege of attending the first ever Indie Polish Canada event, on June 3 & 4, 2017 and oh what an event it was! 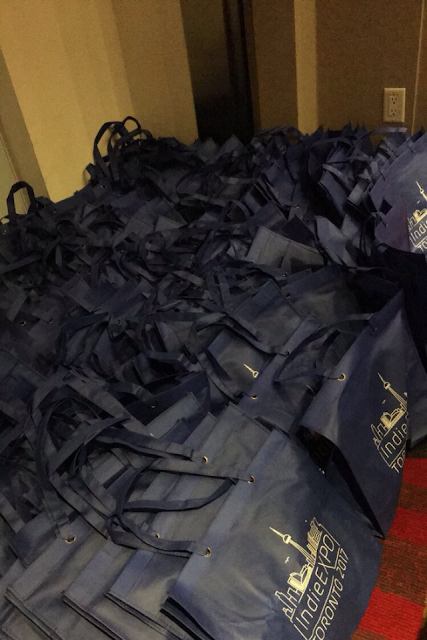 I wore many hats at the event: press, volunteer for an international brand who was unable to attend, tutorial host, and as an attendee to the various events that happened over the weekend! It was so much fun (if not a little exhausting) but I didn't want to miss a thing and can honestly say I cannot wait until next year!!! Here's an overview of how the weekend way! 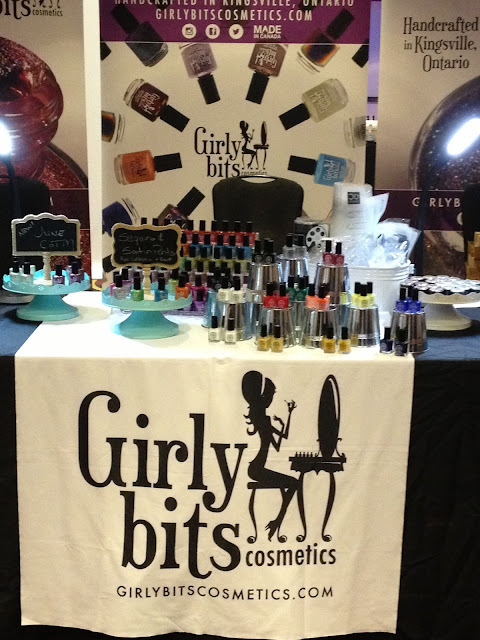 Indie Expo Canada is the brainstorm of Pam Heil of Girly Bits Cosmetics! From the comments of those who attended the various activities over the weekend, I think it's fair to say that the event was a huge success! 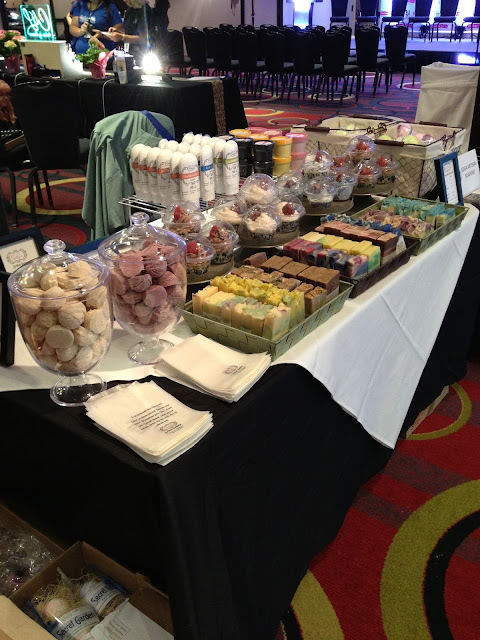 The vendors have commented on how great the event was and how pleased they were with it, I didn't see a scowling face in the mezzanine at the Hyatt from anyone of the floor on Sunday; the volunteers were happy to be there, the shoppers were happy to be there....everyone was happy all around! We cannot thank Pam enough for bringing such a wonderful event to Toronto! The Girly Bits Cosmetics display greeted everyone as they entered the venue. 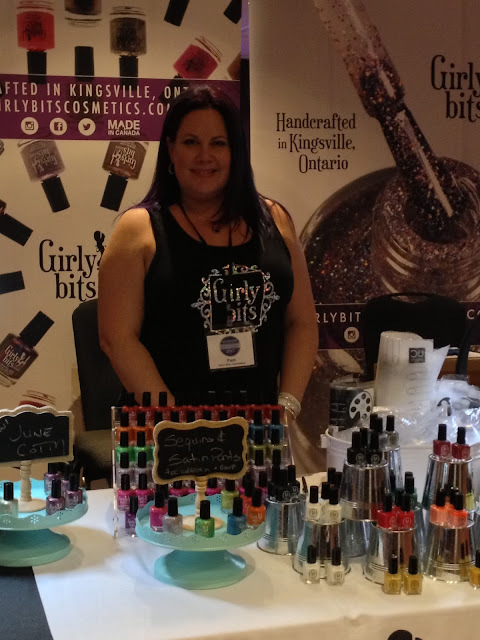 Pam Heil is the founder of Girly Bits Cosmetics; her polishes are proudly handcrafted in Kingsville, Ontario since 2012. 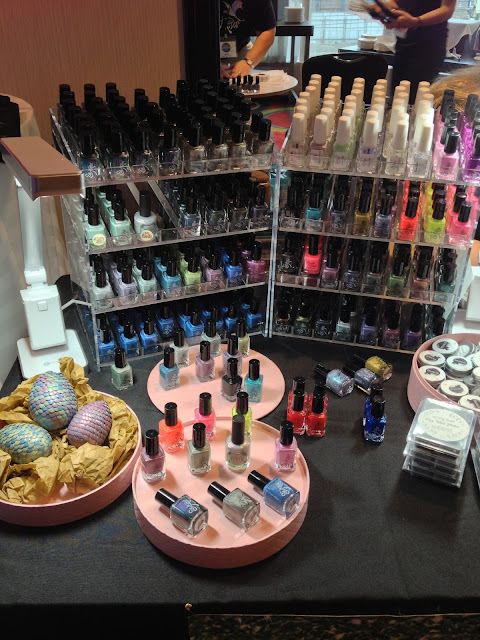 The Girly Bits display had a wide assortment of polishes, stamping supplies, powders, additives and other supplies! 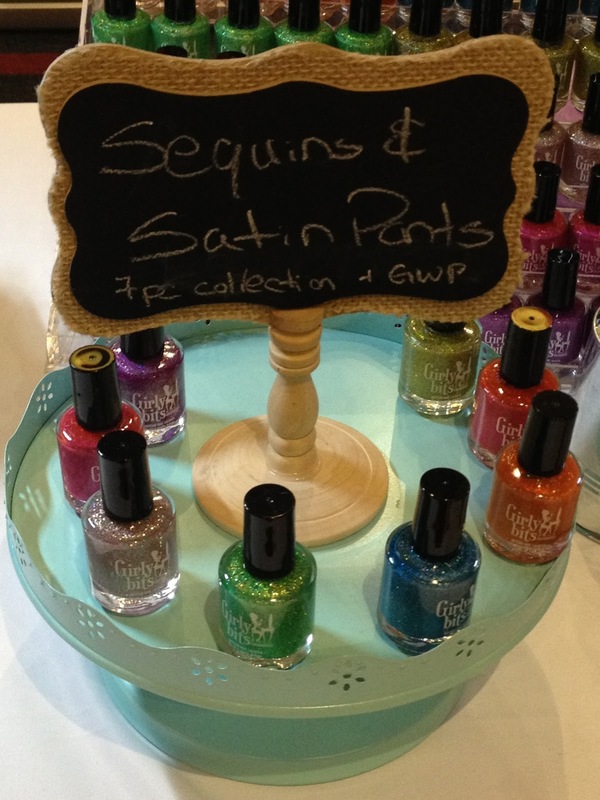 Sequins & Satin Pants was recently released. 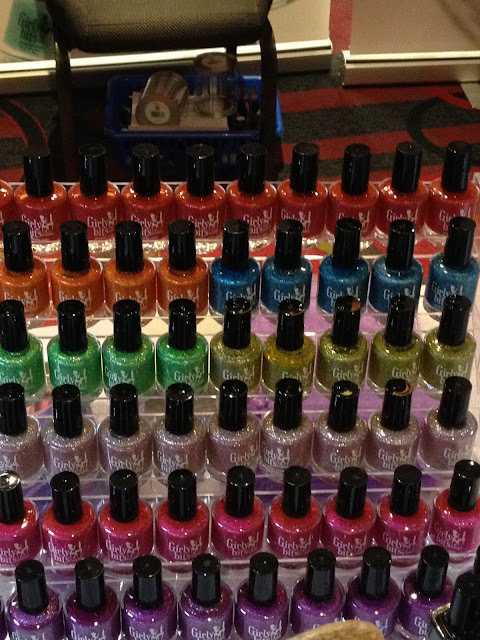 All the pretties lined up! A bucket full of the Girly Bits Indie Expo Canada Exclusive, The Red Rocket. And I just liked this because...you know. 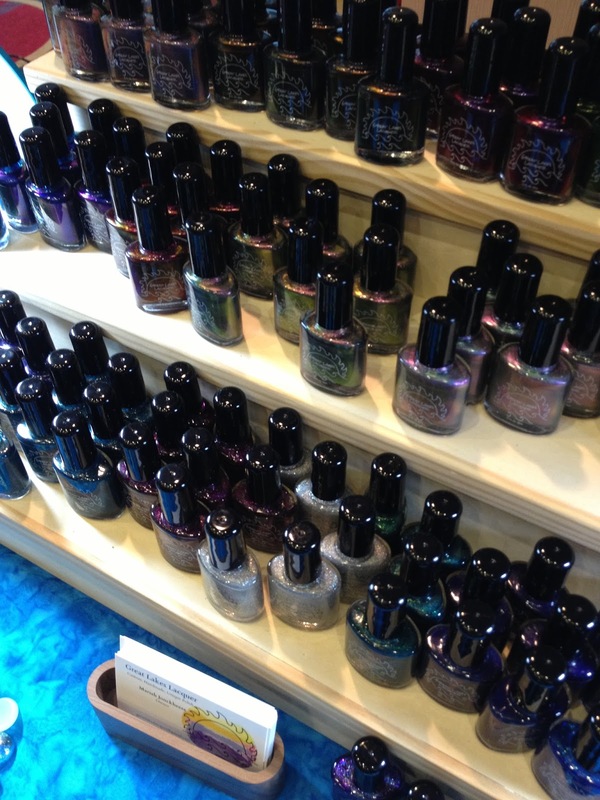 ...holo and all! 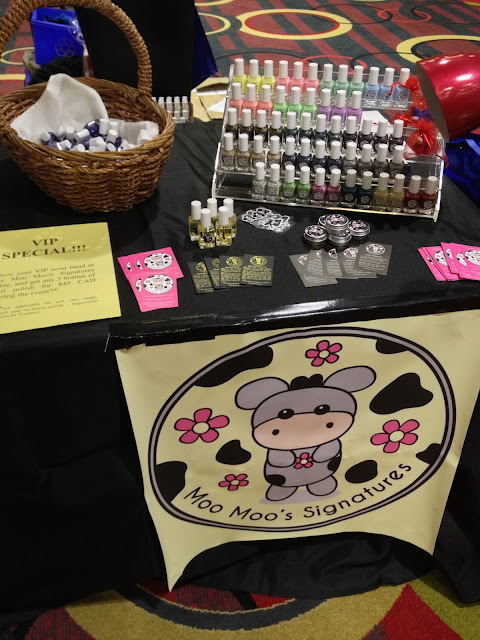 MooMoo Signatures from Singapore was unable to attend in person but sent a wide assortment of polishes, oils and balms! The hubs and I manned the booth on behalf of Mei Mei. 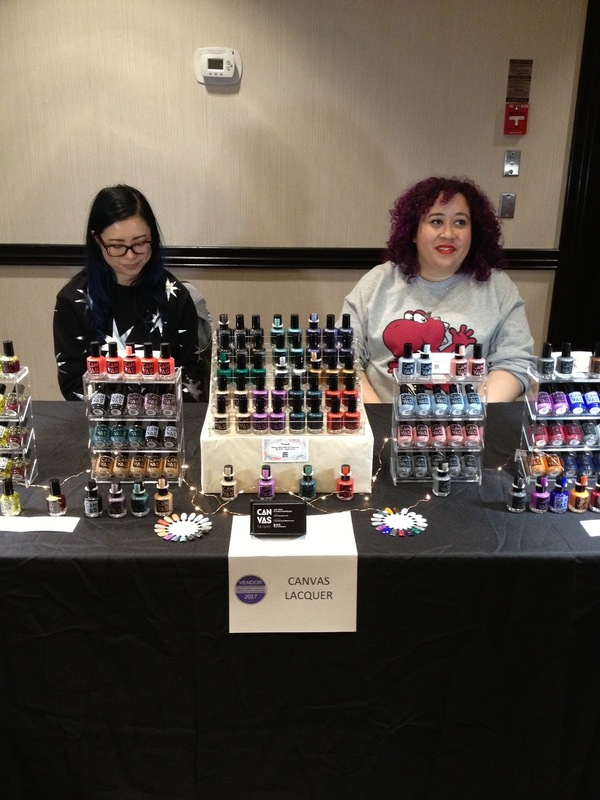 Moo Moo Signatures also had an event exclusive, Mission Impossible in Toronto, which was a stunning blurple. 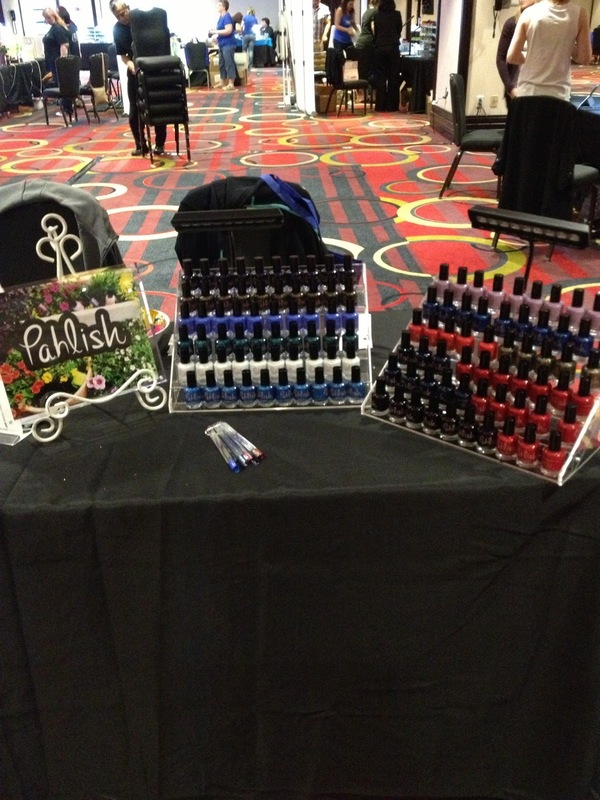 Pahlish is owned and operating by the husband and wife team of Shannon Pahlas Pummill and Josh Pummill. 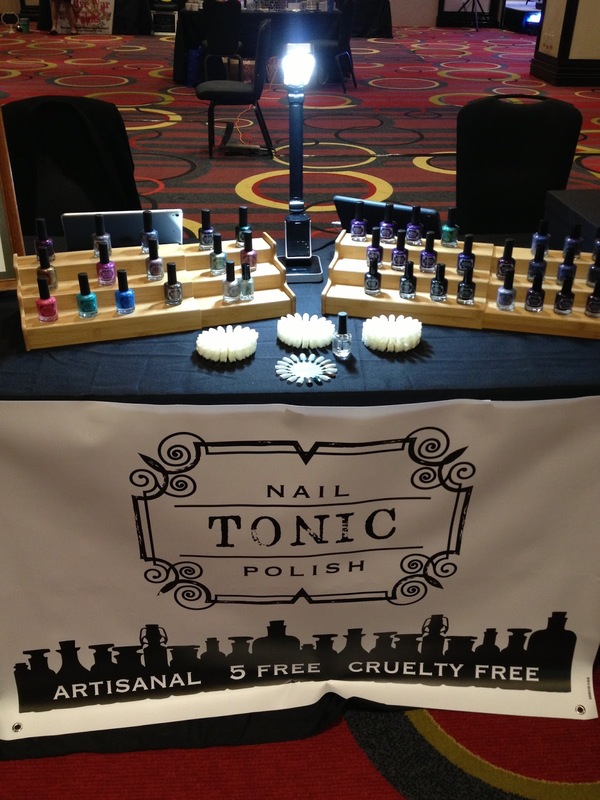 Established in 2012, they operate from Nashville Tennessee. Unfortunately, Shannon and Josh weren't able to be there which was unfortunate; I was so looking forward to meeting Shannon but hopefully it will happen another time! 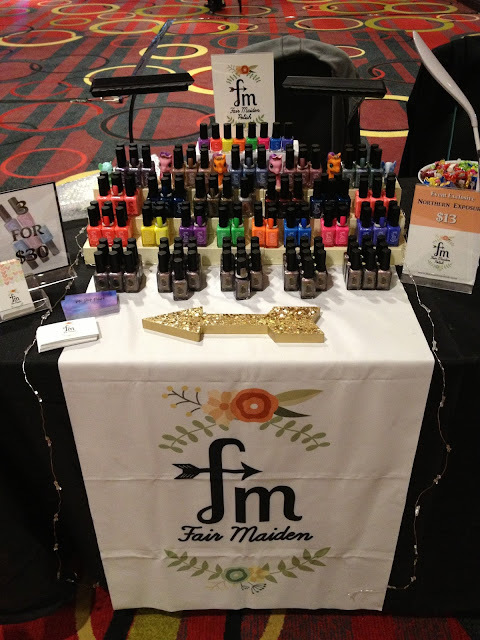 Fair Maiden Polish is created by long time friends, Sarah and Adrienne based in the Twin Cities, Minnesota. Sarah and Adrienne were unable to attend; however, Rebecca Hill did a wonderful of manning the booth on their behalf! 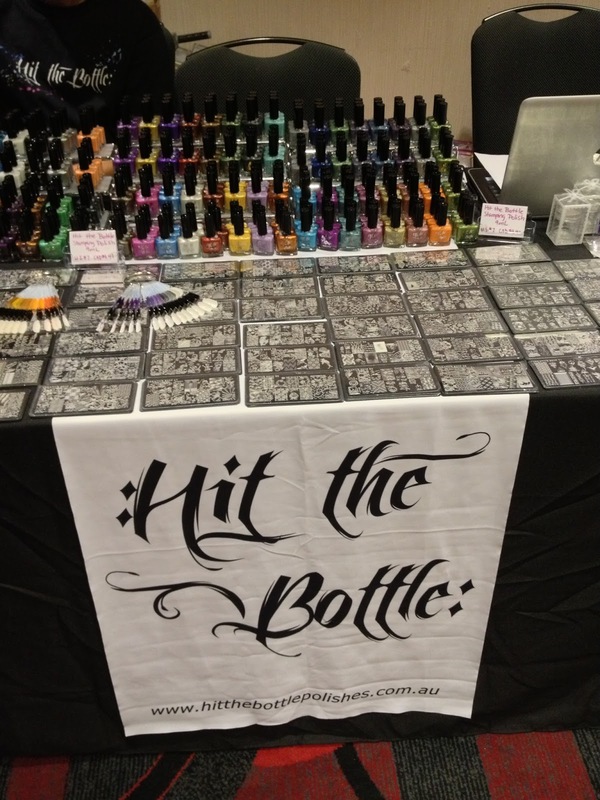 Hit The Bottle, out of Australia, was unable to attend; however, Therese from Beautometry and others manned the booth that had the most stamping polish colours I've seen in person in one place at a show! There was also a wide assortment of stamping plates and other nail art related products! I hadn't tried any Hit the Bottle stamping polishes before but I did pick up a few at the show....you cannot believe how hard it was to pick a few with the huge selection they had! Thanks to Serene of Copycat Claws who helped me to decide! 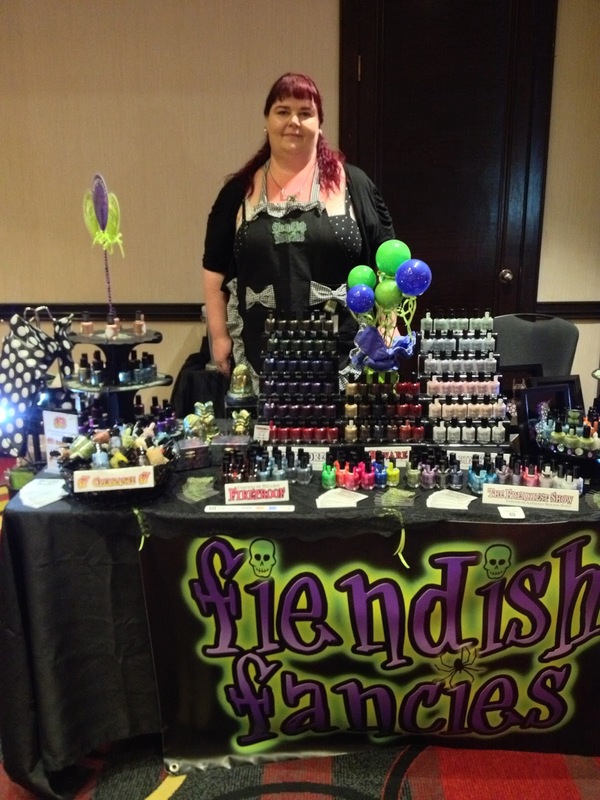 Laura from Fiendish Fancies was such a sweet vendor; celebrating her second anniversary in business the weekend of the event, you can tell from speaking to Laura that she has a genuine love of the business and passion for her products! 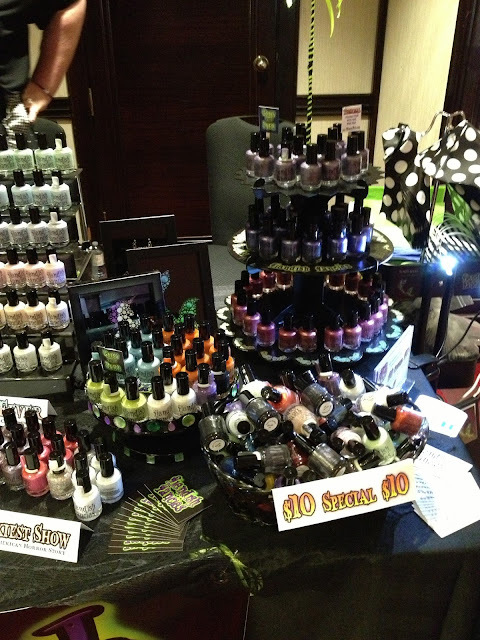 I also loved the creativity of her display which suited her brand so much! 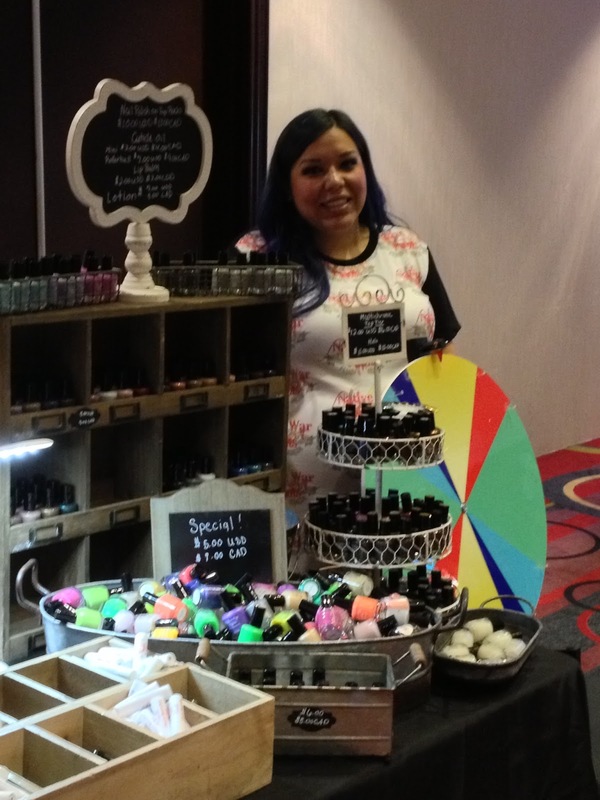 The lovely Sammy is the face behind Cuter Cuticles and Mr. Sammy also joined her at the show! For those who don't know, Mr. Sammy is the one who designed the logo that is seen on the Cuter Cuticles products! 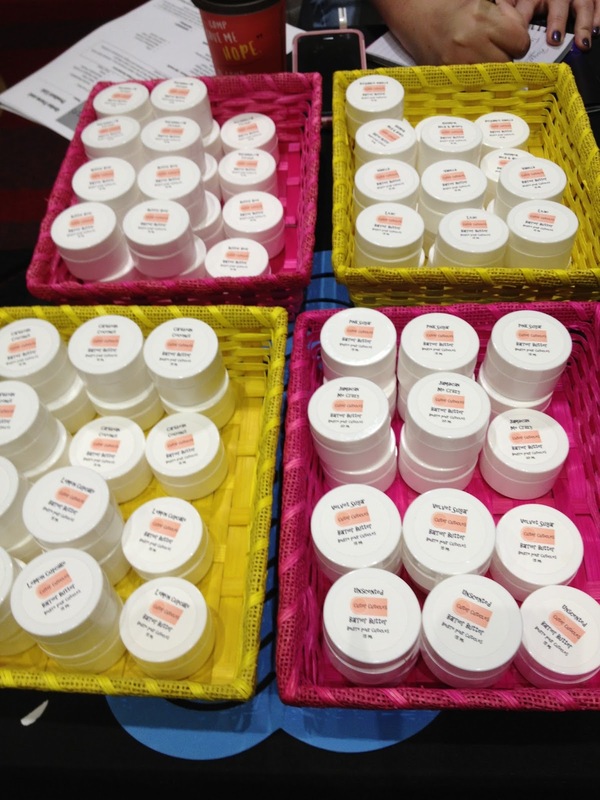 Famous for their barrier butters, they also have an assortment of oils, balms and newly released additives that didn't make it to the event due to a packing mix up but will be on their estore soon! 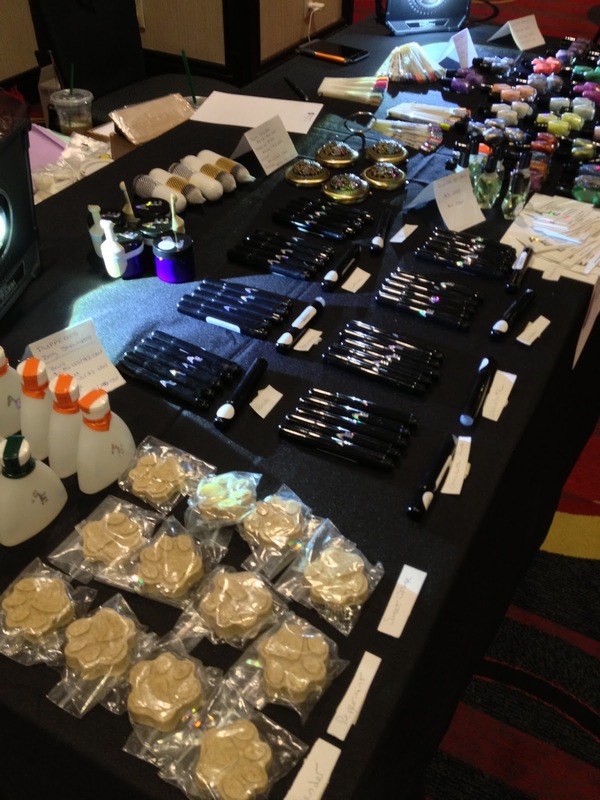 Everything here smelled so wonderful; it was hard to narrow down just a few scents of their awesome barrier butters! 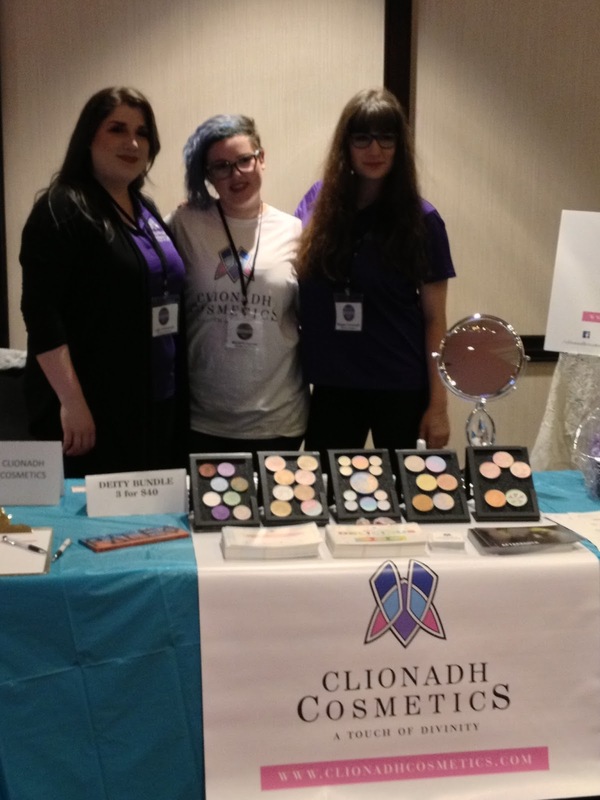 Clionadh Cosmetics is a Canadian cosmetic company located Toronto, Ontario founded by two sisters, Leigh and Maggie Cavanaugh. 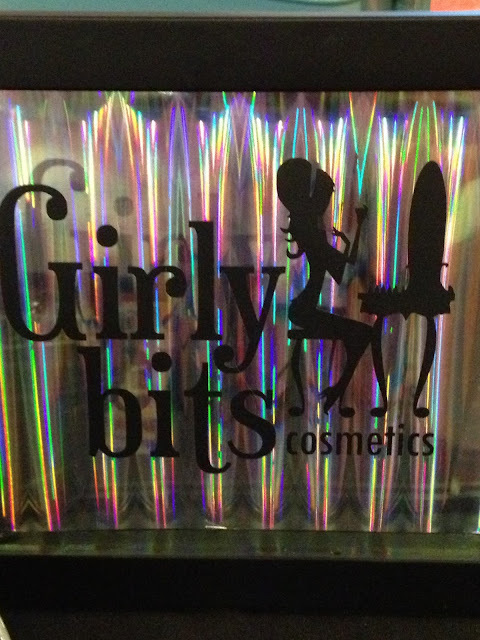 100% vegan and cruelty free, they had a some of the prettiest palettes I have seen......they were truly like mini pieces of art! 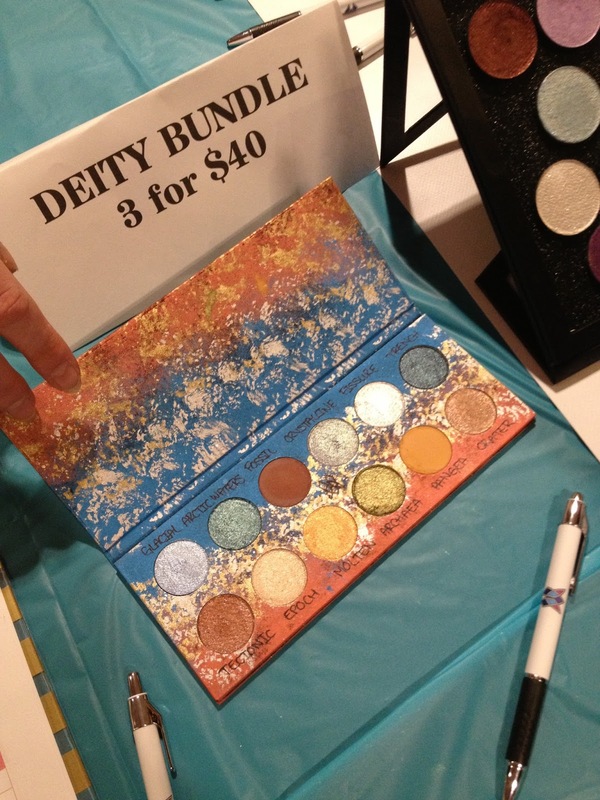 I wish I knew how they got that swirled design in the large palette in there like that! It's like the mystery to how they make Caramilk bars! Lan and Alana are two best friends who started their business in 2014 and are based out of Toronto, Ontario. 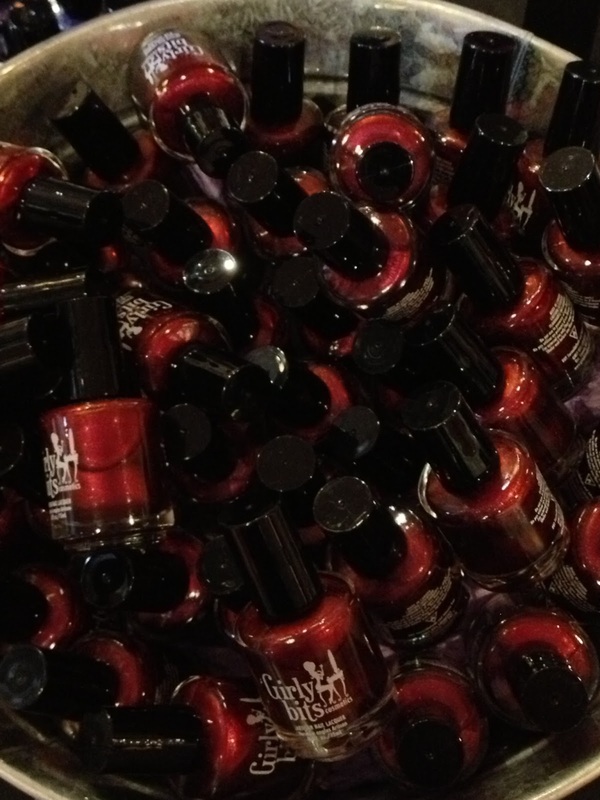 Every polish batch is a limited edition; once its sold out, it's gone forever! Here are Lan and Alana trying their best to avoid having their pictures taken even though I did ask for their permission to do so! 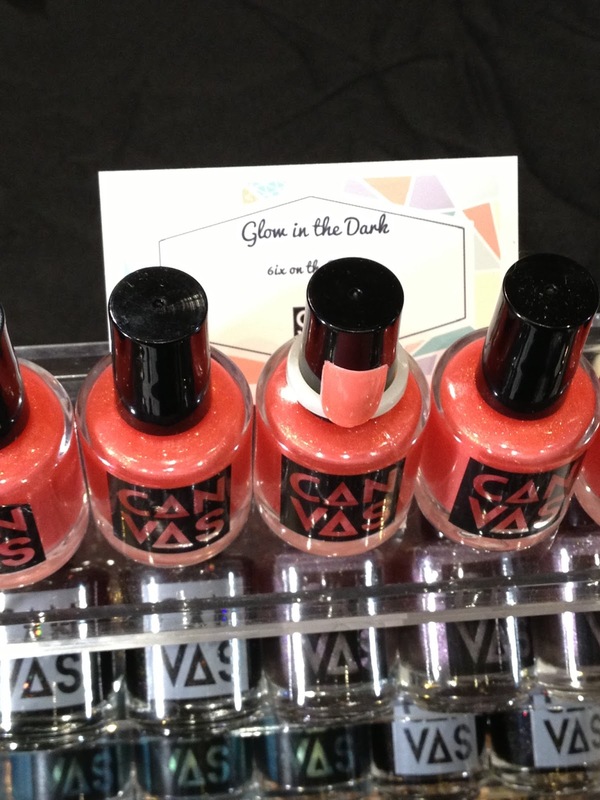 CANVASlacquer recently launched scented oils...but they didn't release the secret to getting those buds into the polish bottles. 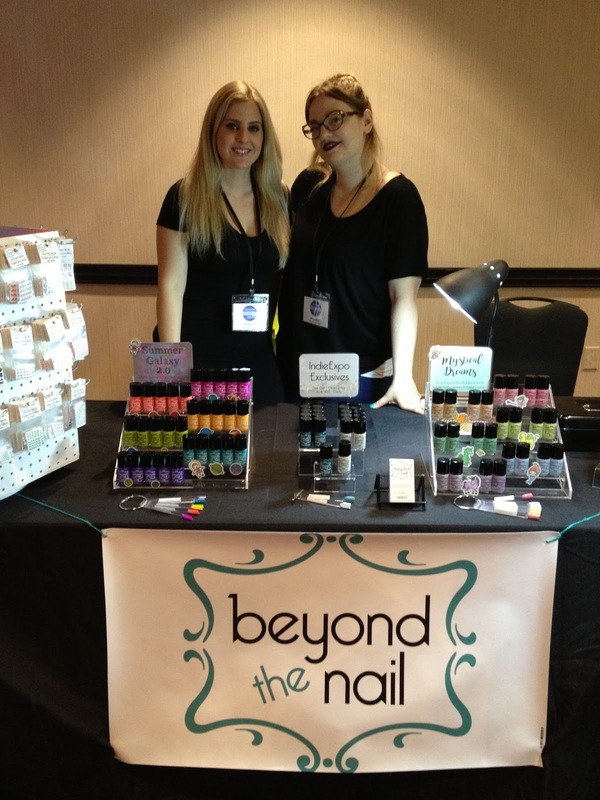 Two sisters, Krystyn and Maddy, started Beyond the Nail in February 2013. 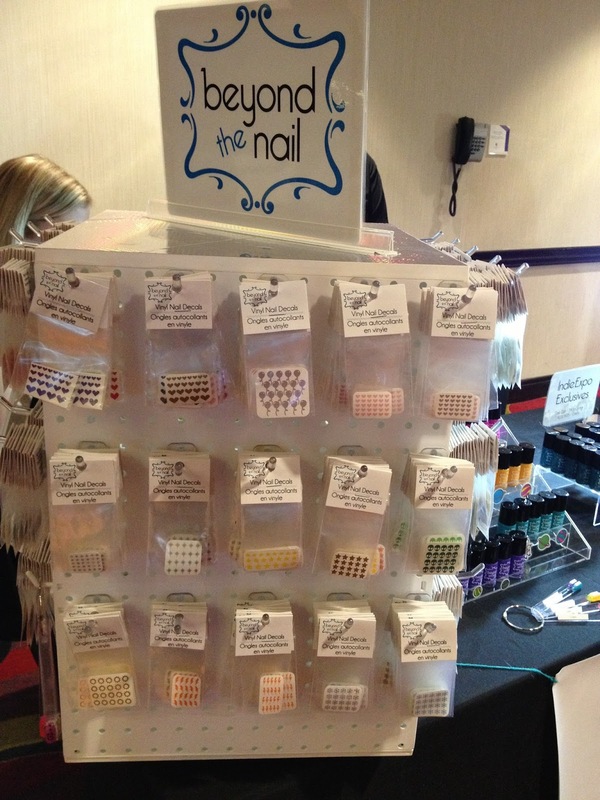 Their booth had a vast selection of polishes, nail guides and decals. 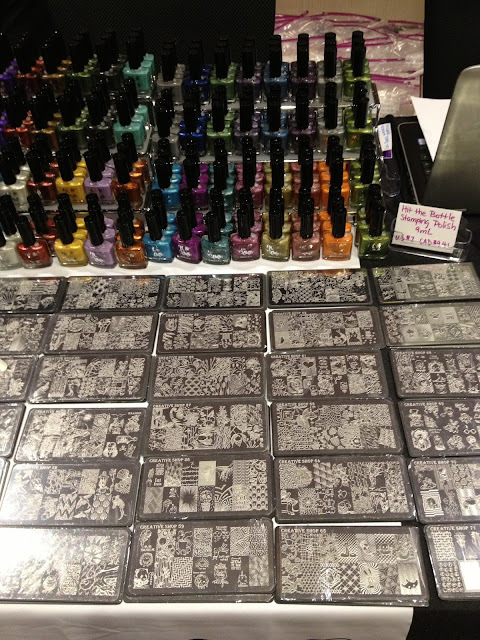 Here's the Indie Expo Canada Exclusives highlighted: 416/905 and Tee Dot. 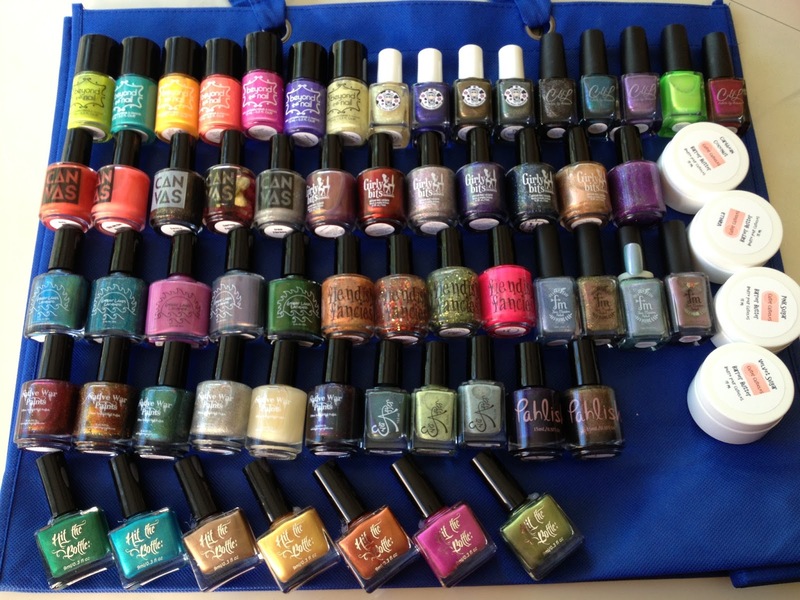 Being local, I picked up on the play on words of the names of these polishes! 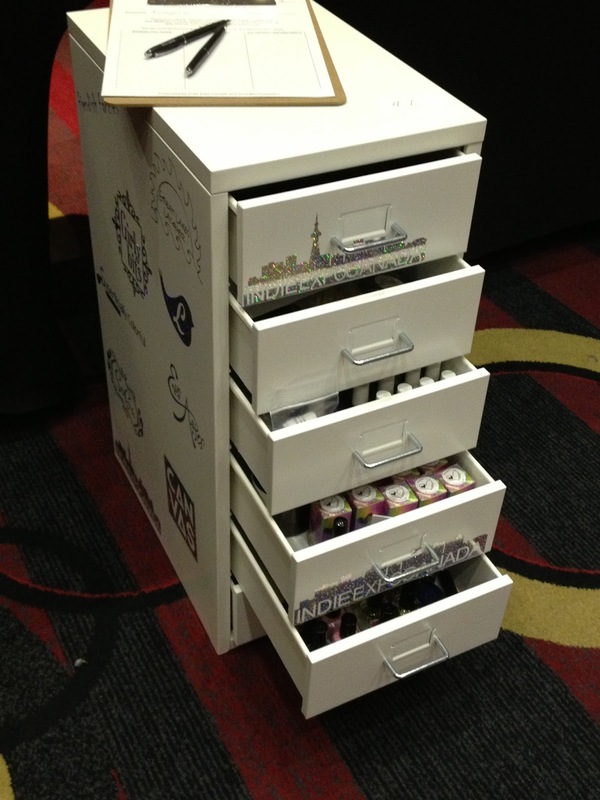 Their display included an extensive assortment of decals and guides. 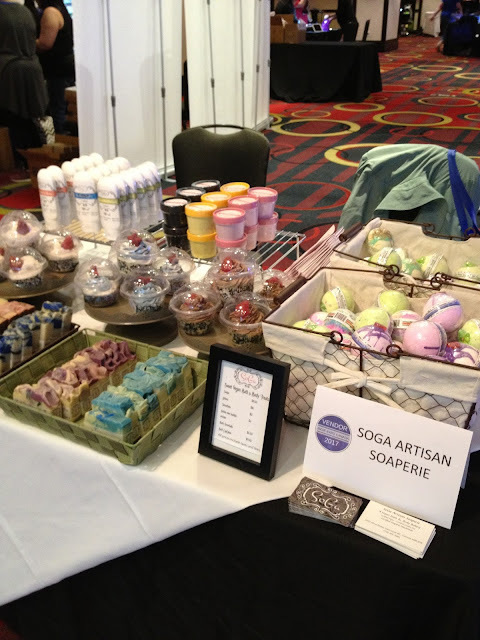 If ever there was soap so good looking I wanted to eat it, it has to the creations from Soga Artisan Soaperie! 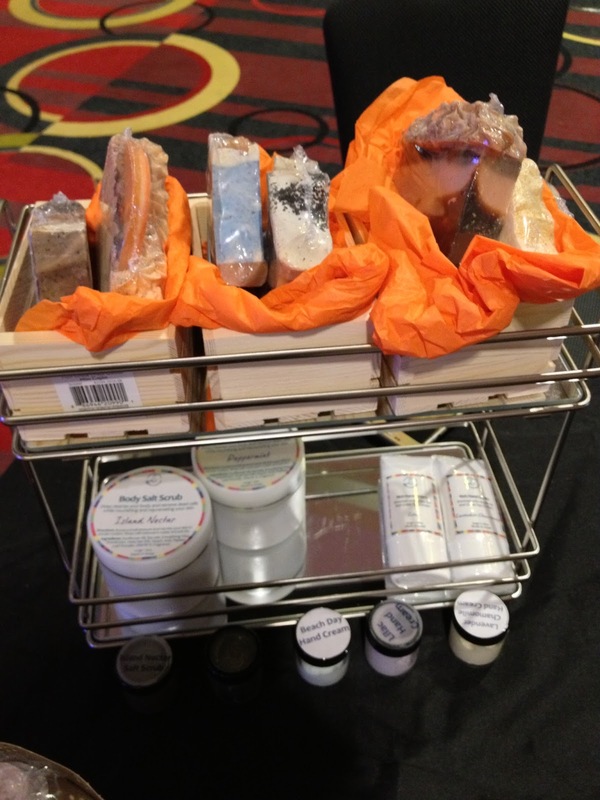 I was so impressed visually how their products looked ....and they smelled as wonderful as they looked! 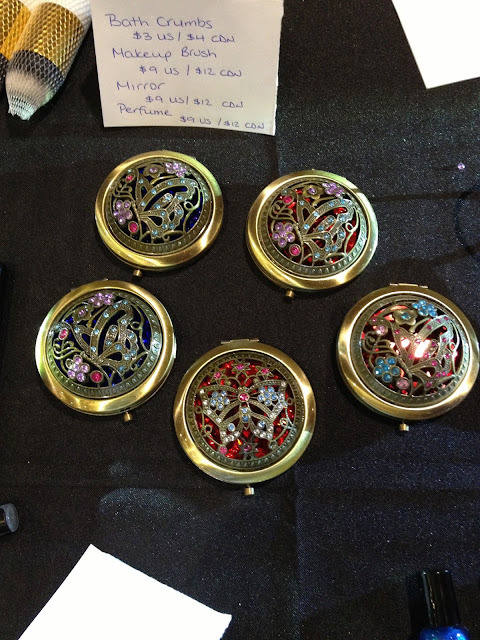 In retrospect, I regretted not buying some of these lovely creations and in fact, this was the very last booth I visited as the show winded down as I kept on mulling it over....should I or shouldn't I? I didn't in the end but will be placing an on line order soon! 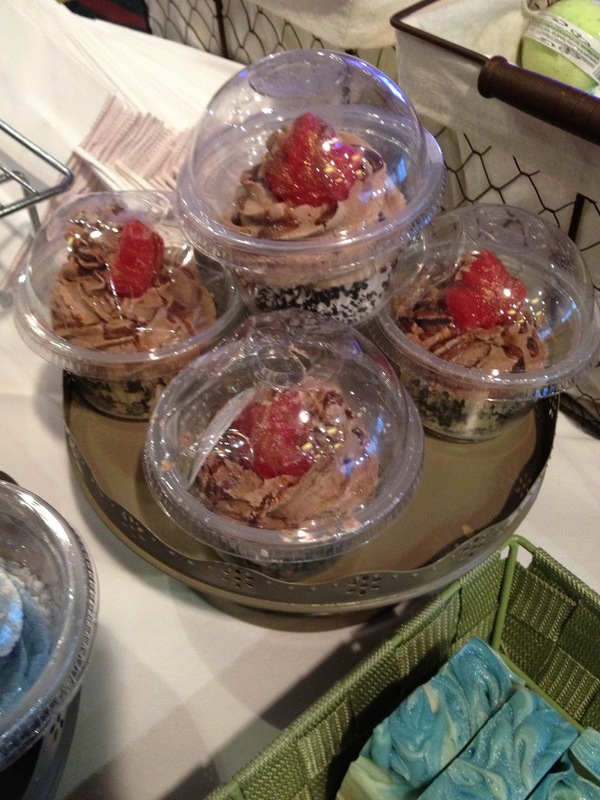 No, these aren't real cupcakes, they are actually cupcake soaps....I cannot believe that this is even possible in soap making!!! I do not have an idea how these soaps are made but I was awestuck how incredible they looked! It was like they made a piece of art, then sprinkled it with gold dust! 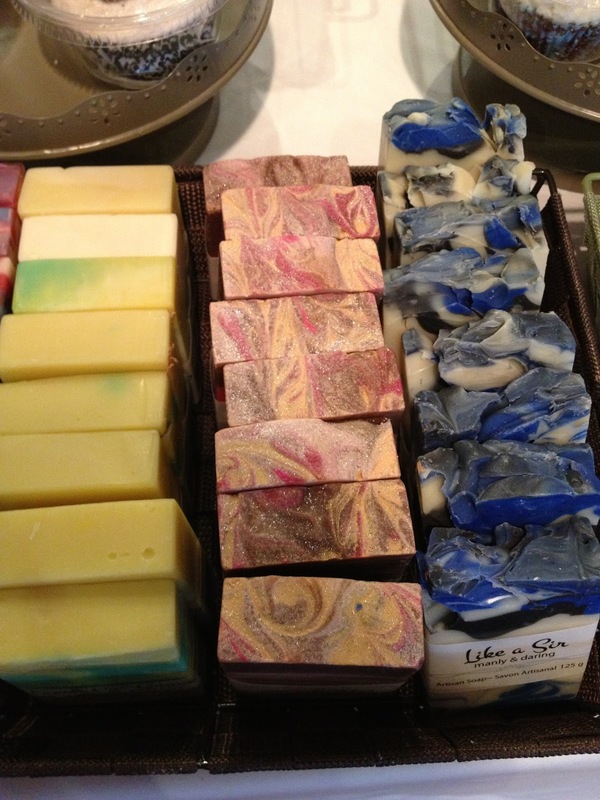 Rachel and Miranda are two friends who have been creating their wonderful products since 2014. 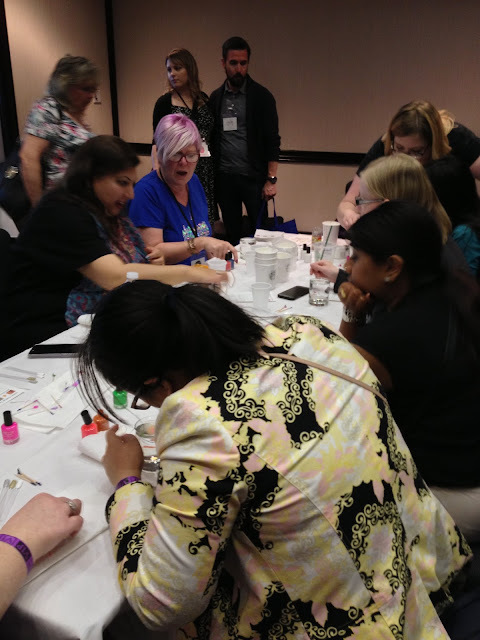 Rachel focuses on making small batch, 5-free polishes with a flair for flakies, while Miranda is behind the bath and beauty products. I'm a huge fan of flakies and a few Ever After flakies made their way home with me from the show! 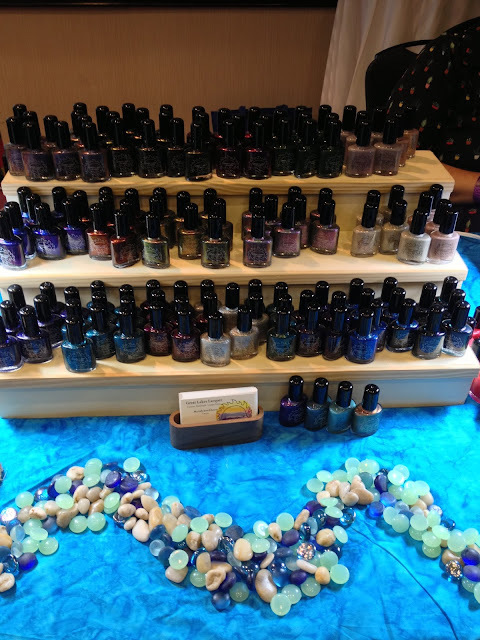 Ever After Polish's display included a huge assortment of products; everything from polishes, to crelly's, to treatments, and felts for removing polish. 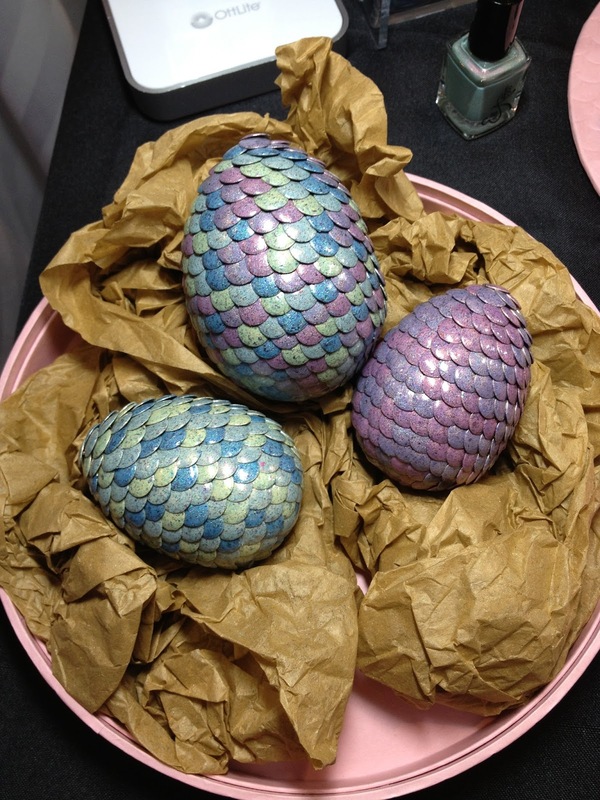 Gorgeous dragon eggs on display at the Ever After display! 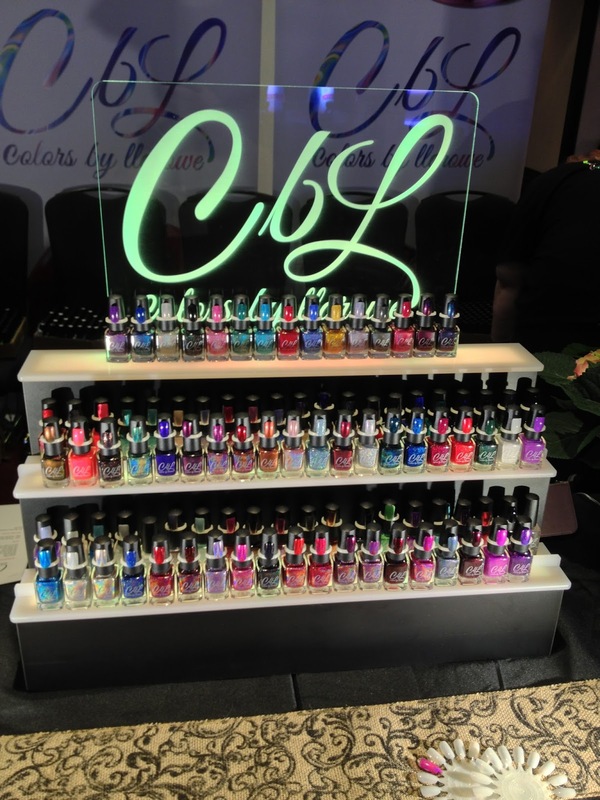 Mariah Jonckheere is the creative force behind Great Lakes Lacquer and attendees were so glad she made the trip from Michigan! Great Lakes Lacquer has been creating fabulous polishes since 2014! I had the benefit of her experience during the polish making session as she helped me create a polish similar to one of her past releases that I had missed out on! 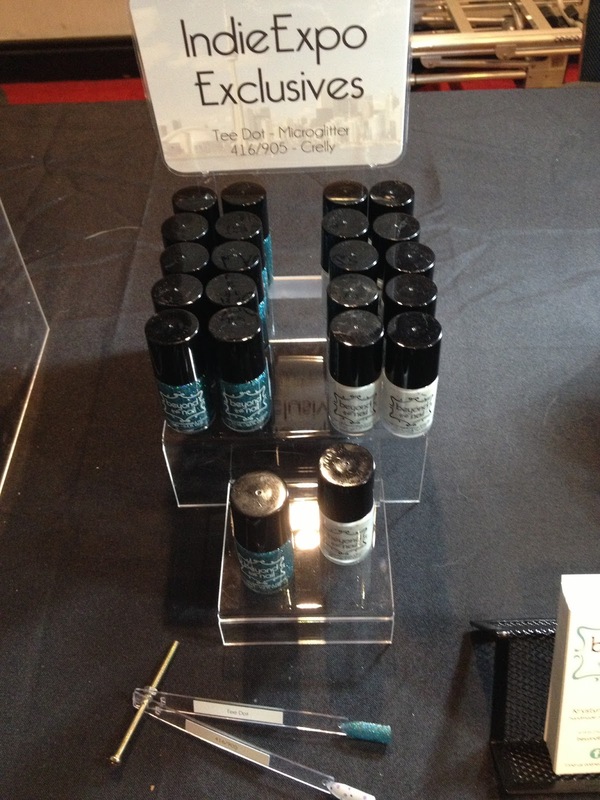 This was one polish I didn't miss out on; Great Lakes Lacquer The Jewel of Ontario which was an Indie Expo Canada LE. Speaking with Leah Ann LaRowe of Colors by llarowe was such an honour...she was so accessible throughout the weekend! She provided helpful hints during the polish making session; gave those of us non makers a peak on what goes on in her mind as a business strategy during the seminar, and was a gracious host to her booth throughout the entire afternoon during the shopping on Sunday! 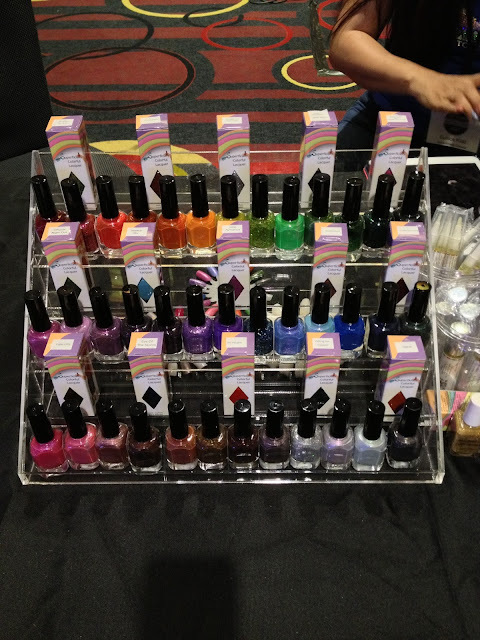 Based out of Colorado, Colors by llarowe has been creating a huge assortment of polishes since October 2011. See these polishes? Testers! Each and every colour available at the show had its own tester bottle! The 2017 Summer collection and the polishes of the month. 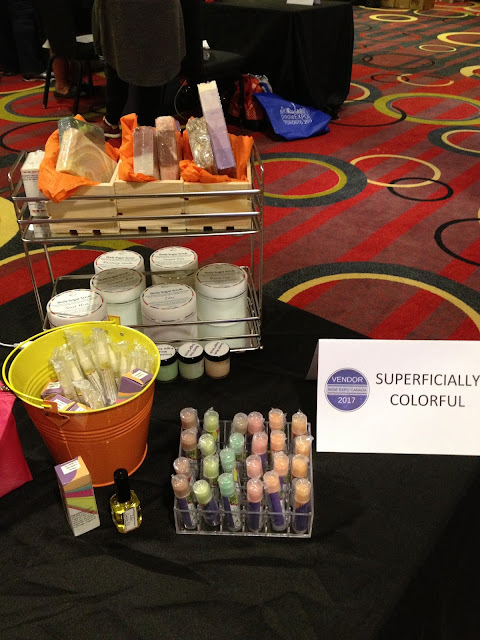 Jit from Superficially Colorful from Israel was unable to attend; however, her booth of soaps, oils, lotions and polishes was a wonderful to see to the event! 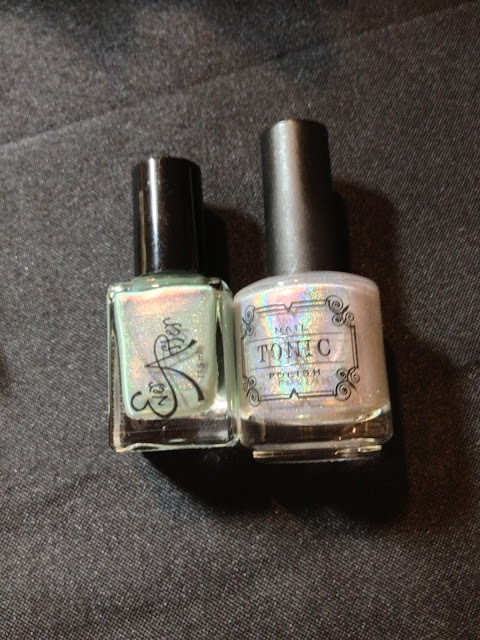 I've already worn Superficially Stealing Your Thunder, which was a VIP polish and it will soon be on the blog! Cynthia Decker is the face behind Alter Ego Body Care. 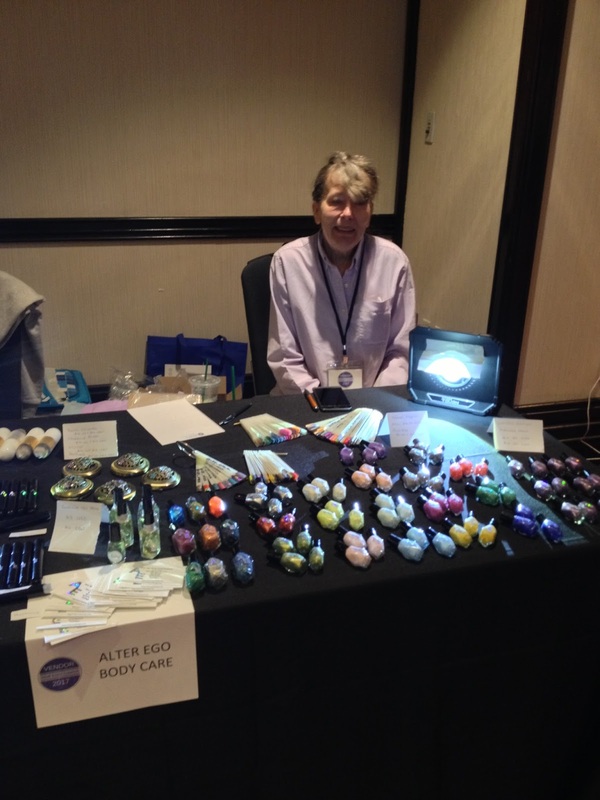 Travelling all the way from Wisconsin, Alter Ego had an wide assortment of polishes and body care products. Cynthia was another maker very accessible throughout the weekend; she was very knowledgeable during the polish making session, providing valuable insight from her polish making experience. 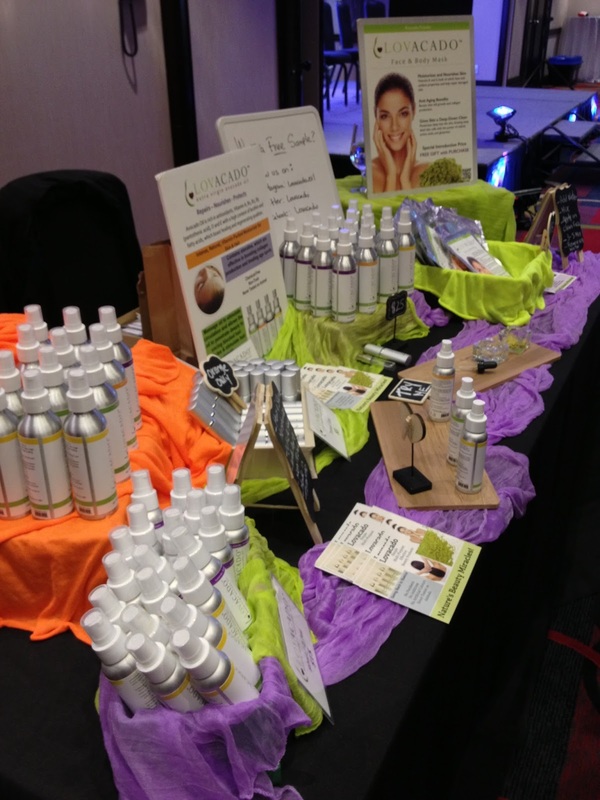 Alter Ego Body Care had a huge assortment of products at their display! I thought these cute mirror compacts were the bomb...unfortunately, I forgot to go back and buy one! 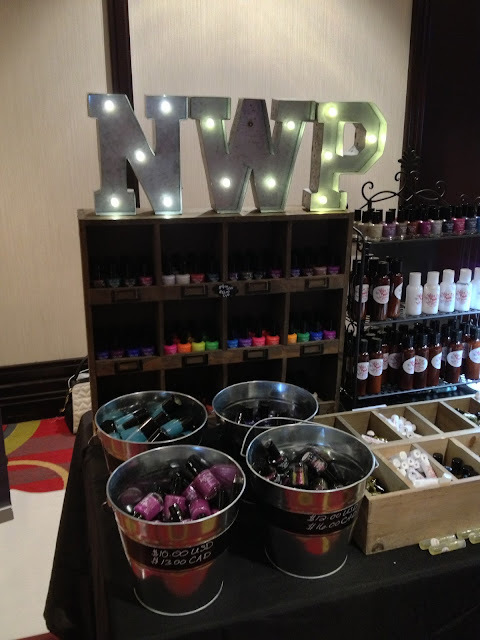 Native War Paints was founded by Amanda Pigeon-Scribner; her husband Brian was also at the show but didn't make it on camera! I'm not sure if you can make it out, but Amanda had a dress that was a pattern of her logo and I thought it was pretty awesome! 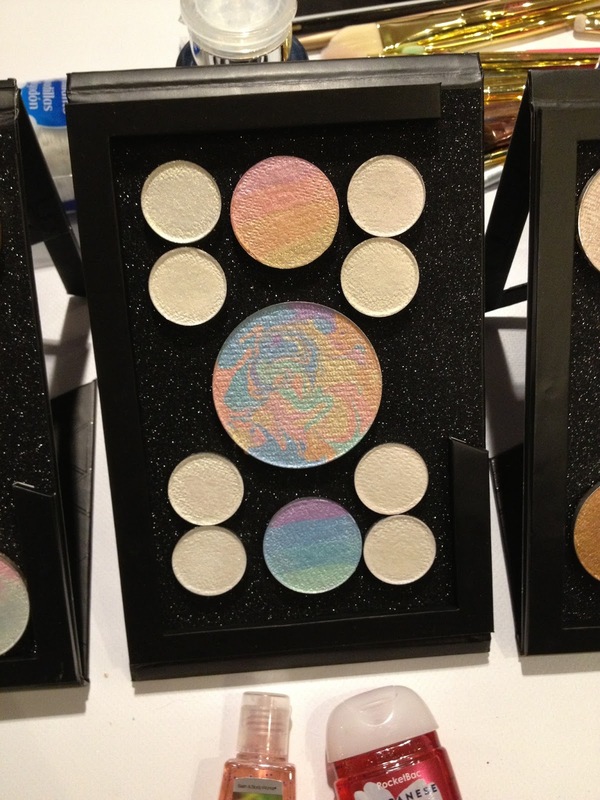 Claudia Murillo created Lovacado in 2013 and is from Toronto, Ontario. 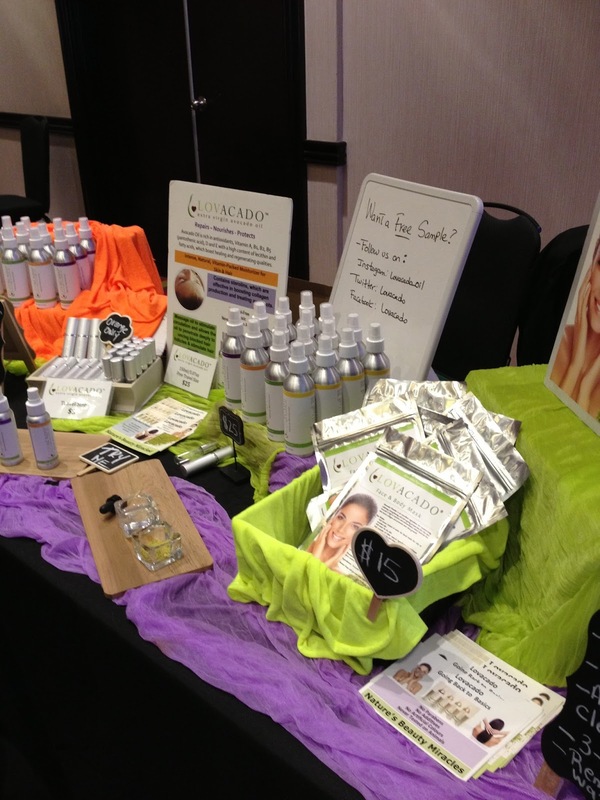 The products are cruelty free, natural and non-toxic. 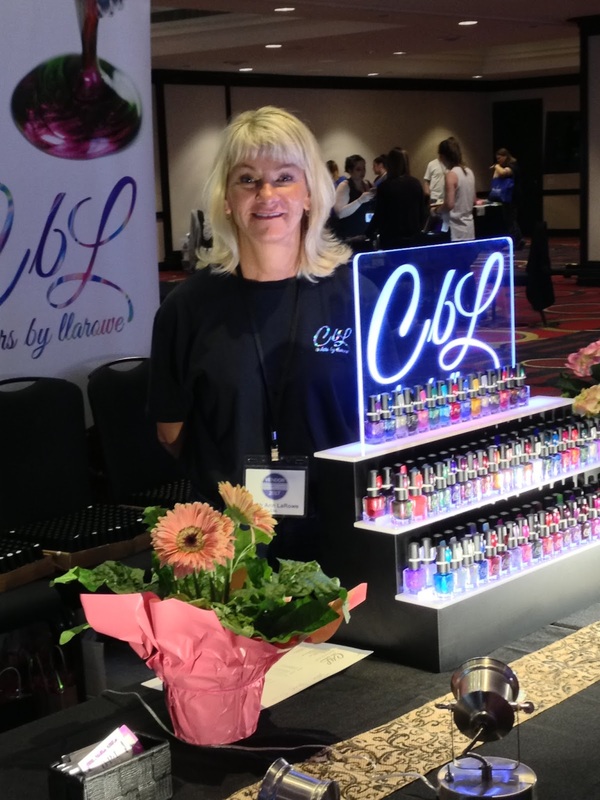 I chatted with Claudia during the expo and she was so passionate about her products! I have some product to test and will be doing a review on the blog! 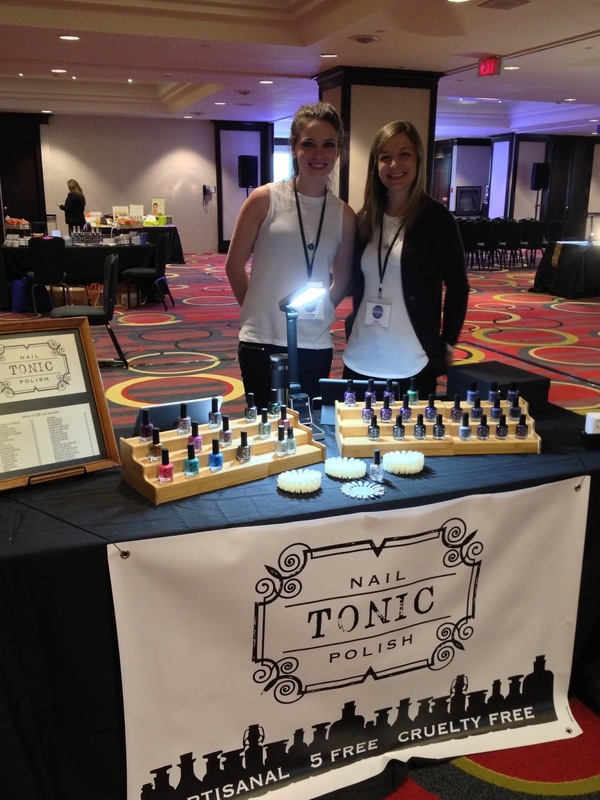 This is Lindsey and Amy; two of the nicest and approachable ladies in the indie polish world! 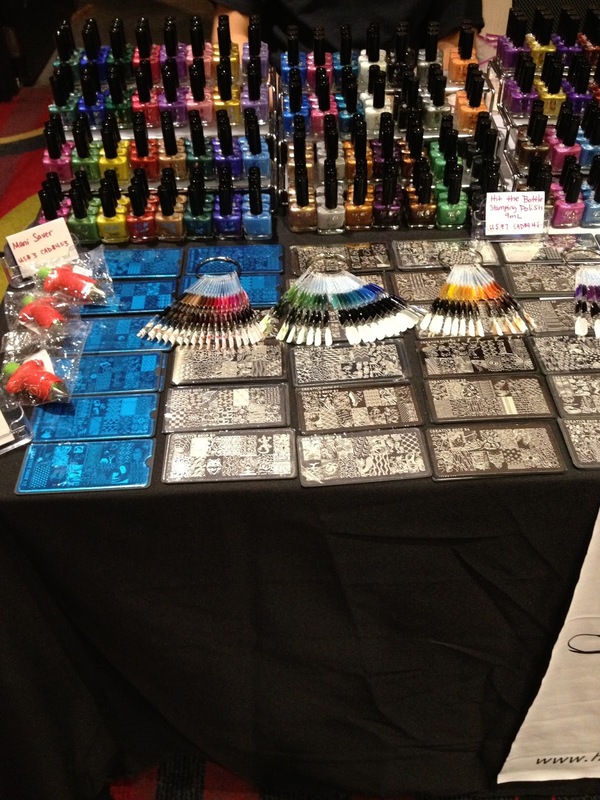 I visited their booth several times during the day and they always had a smile on their face and were super friendly! 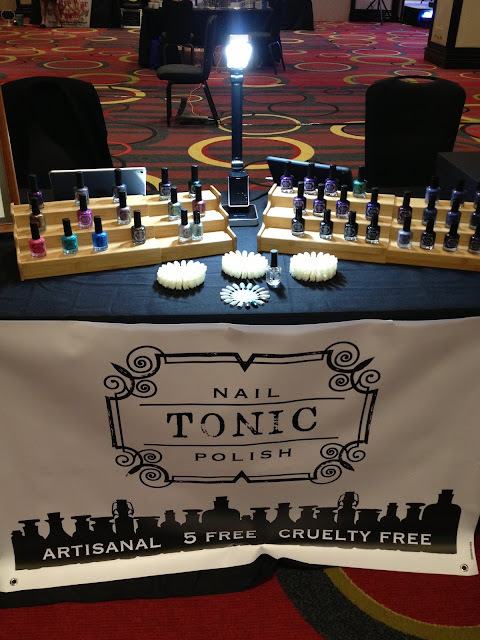 Unfortunately, not all the Tonic Polish made it to the show (it showed up the Monday after or so) but the enterprising ladies managed to bring a good amount in their luggage and made arrangements for those who missed out on their pretties to be bought and shipped after the event! The Ever After/Tonic Polish Austin Powers Duo, One Million Flowers and Minty Me, premiered at the Indie Canada Expo will be available later on both sites of Tonic Polish and Ever After to purchase. Those Were the Booths, But Wait!!! There's More!!! Those who attended were entertained by the fabulous singing talent of Jen Knight, who is the daughter of Pam of Girly Bits. 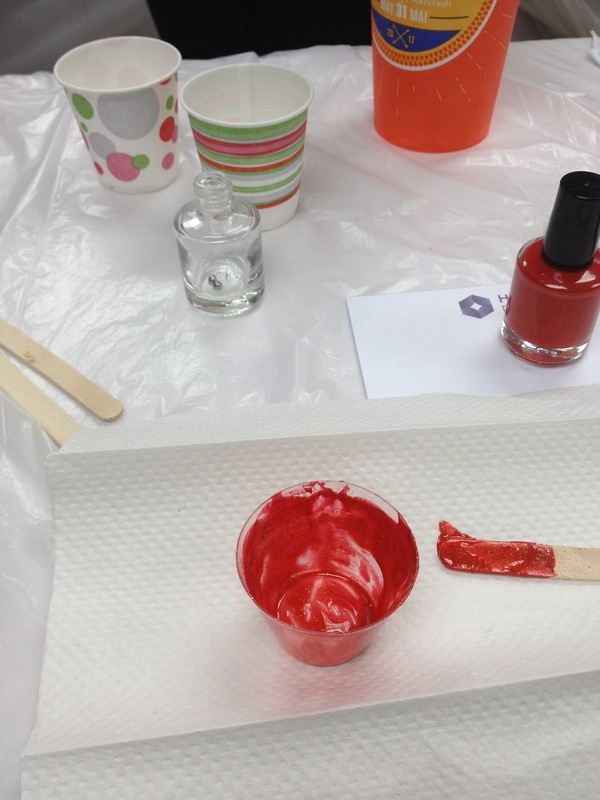 Of the fantastic things about the event was the launching of Paint It Forward, which is a platform dedicated to raising money and awareness for charitable organizations. 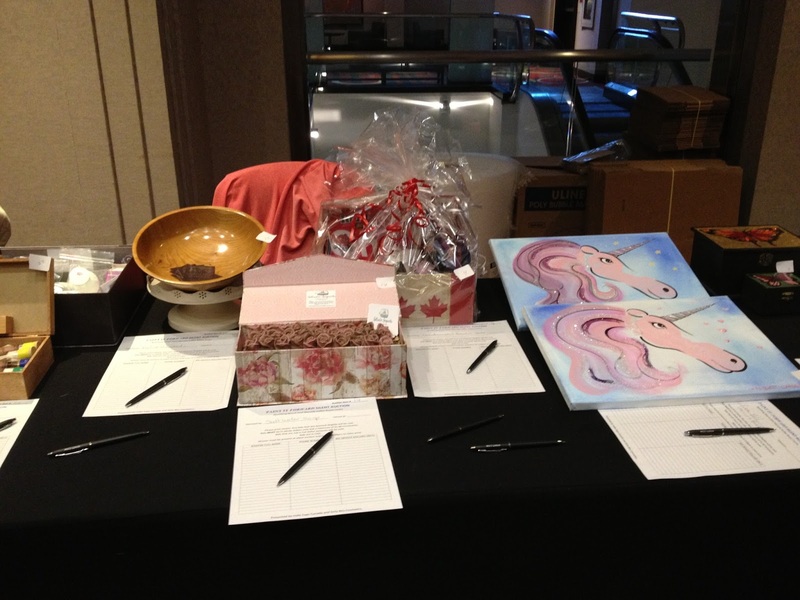 There was a silent auction from 12 noon to 5 pm and the first recipient of the proceeds was Mount Sinai Marvelle Koffler Breast Centre. Over $1800 was raised from the auction of the items below! In addition to the awesome helmer and allllllllllllll the things that it held, there were also many other items up for auction that had been graciously donated. A full list of them are here. 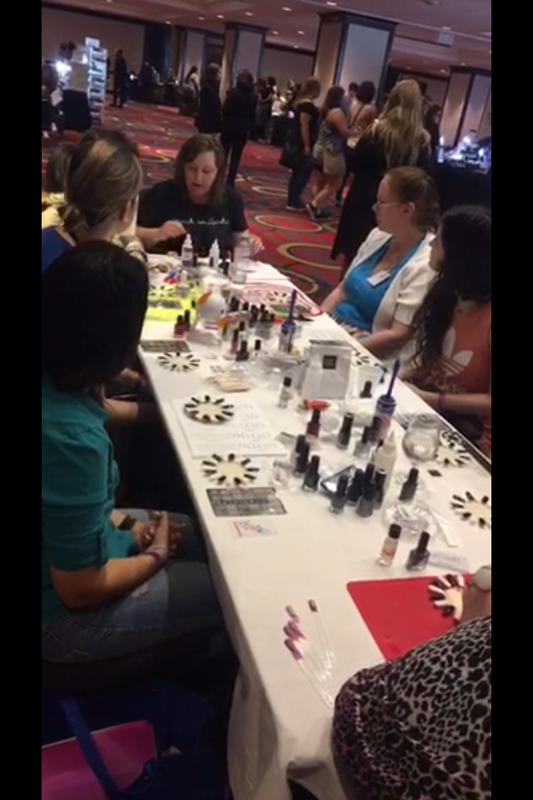 While the expo was going on, there were several bloggers who did very informative tutorials; this is Melissa of Honeybee Nails at the water marbling tutorial. Here I am at the advanced stamping tutorial. 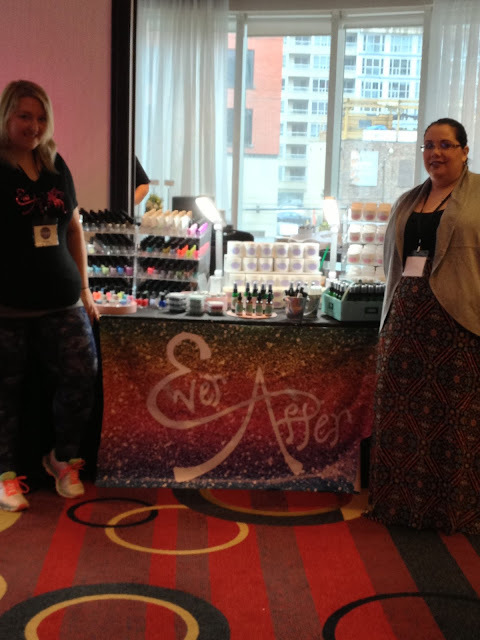 There were also tutorials on Stamping 101 hosted by Jenne of Polished Pathology, Special Effects Powders was hosted by Elena of NailExperiements as well as various nail art methods hosted by Katherine of Procrastinails and Candace of Less Talk More Polish. While the actual polish sales were held on Sunday, June 4th, there was several events that took place on Saturday, June 3rd too! 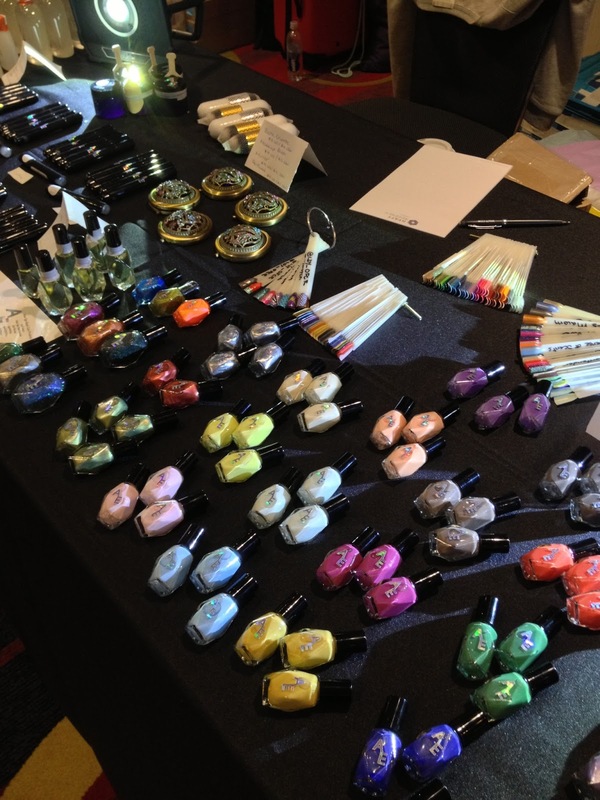 At 10 am, there was the Polish Making With The Makers seminar. 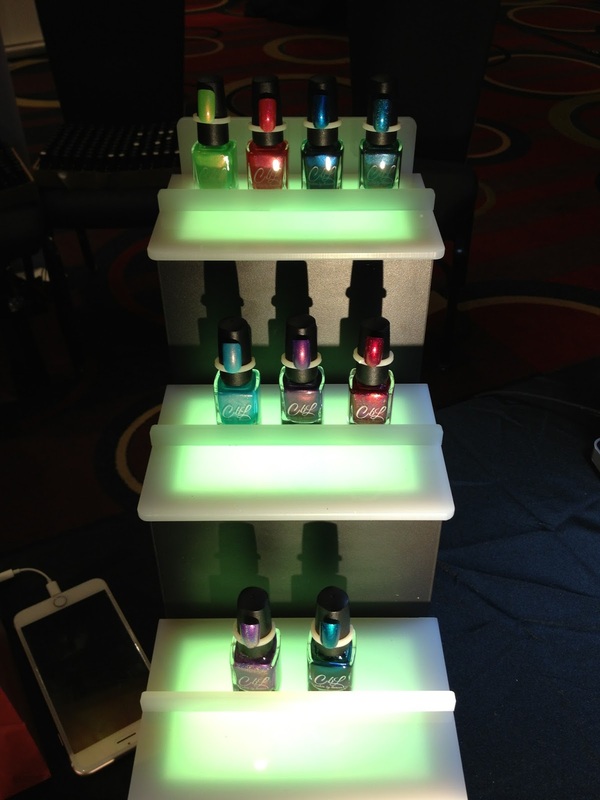 For an entrance fee, attendees were able to make 2 bottles of their very own custom polish! Or in my case, with a lot of assistance from a maker........but everyone walked away with their very own creations! How cool is that???!!! This was the end result of my first made polish, a burnt orange with gold flakes and chocolate shimmer that I can't wait to wear come fall! 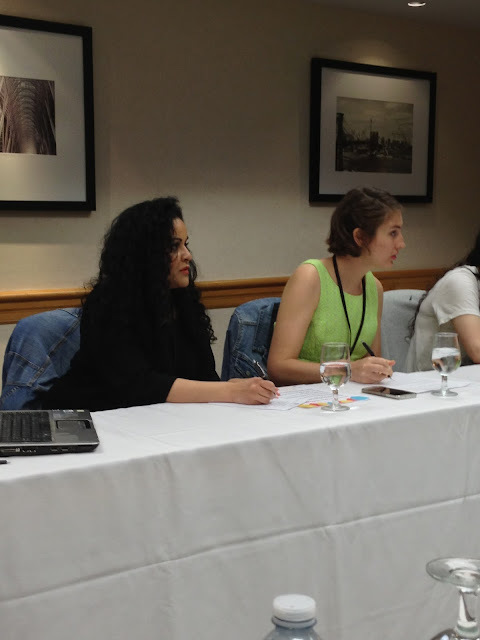 After the polish making session, there were three guest speakers. Zenorah from Zenorah's Life (left) and Caitlin Gladney-Hatcher (right) from Streets Ahead Style provided very informative insights on blogging on the various media platforms. There was also another seminar hosted by a representative of Andrea Ivanka Internatonal Inc. but unfortunately I was remiss in taking any pictures, sorry. There were a few hours to see the sights, then several makers, bloggers, press and attendees met in the lobby at the Hyatt. 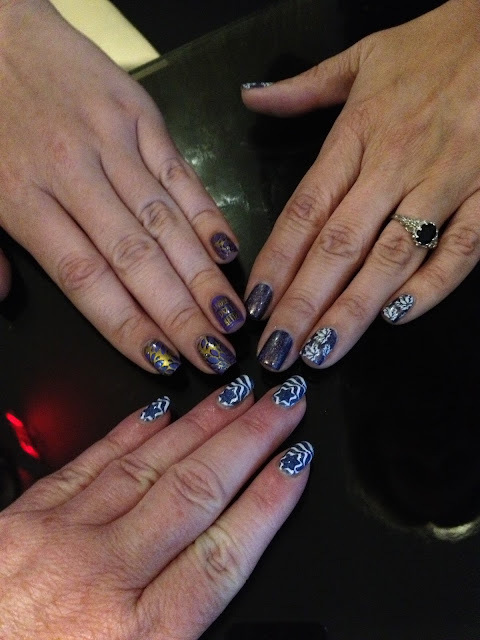 No polish meet up is complete without the obligatory polish hand pose picture; this is Jenny from The Dot Couture (top right), Serene from CopyCat Claws (top left) and myself (lower centre). 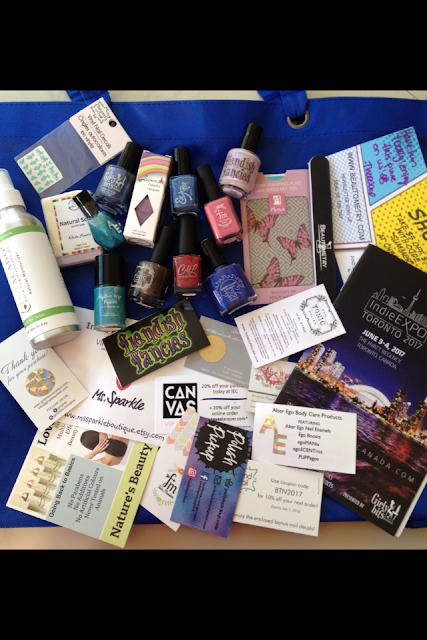 While it was great to volunteer, donate to the silent auction, meet all the fellow polish addicts, make our own custom polish.....let's get down to what everyone wants to reallyyyy now about....the VIP bag and the haul!!! 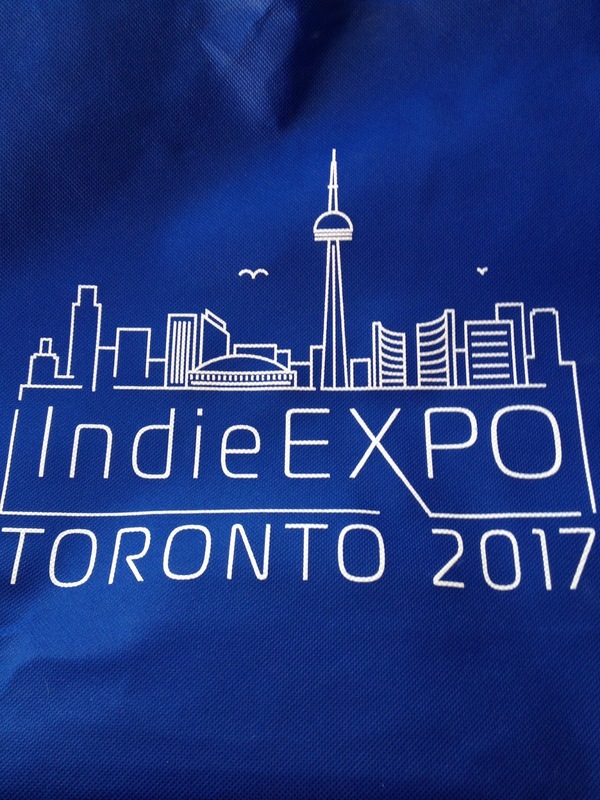 All who attended were given their very own Indie Expo Toronto 2017 tote, which was very handy to hold all the pretties while shopping! 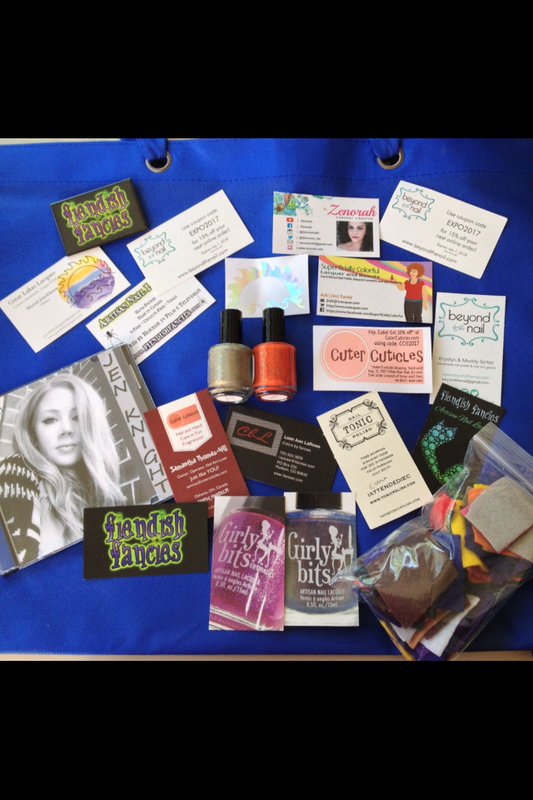 Many of the attendees purchased the VIP package; this included early entry and a tote filled with wonderful surprises!!! Attendees also visited the some booths to collect items from some vendors as part of the VIP bundle. For those who held a VIP ticket, their VIP bag looked something like this (keep in mind that Fiendish Fancies provided 1 of 7 different one off polishes so other bags might have 6 different other polishes!) Also, Bliss Polish provided one of two different shades, but unfortunately, my bag was missing the Bliss Polish all together. However, it is on its way to me! Lastly, in my haste to take the pix, I mistakenly put Hit the Bottle On The Loose With Chartreuse LE stamping polish in my haul pix. A few other goodies might be shown in this bag from other VIP's as not all the bags were the same for all attendees/volunteers and because I might have added some cards that I collected when I was acting press! The haul! A few of these were gifted; MooMoo Signatures Mission Impossible in Toronto was a gift from MooMoo Signatures as the hubs and I manned her booth. 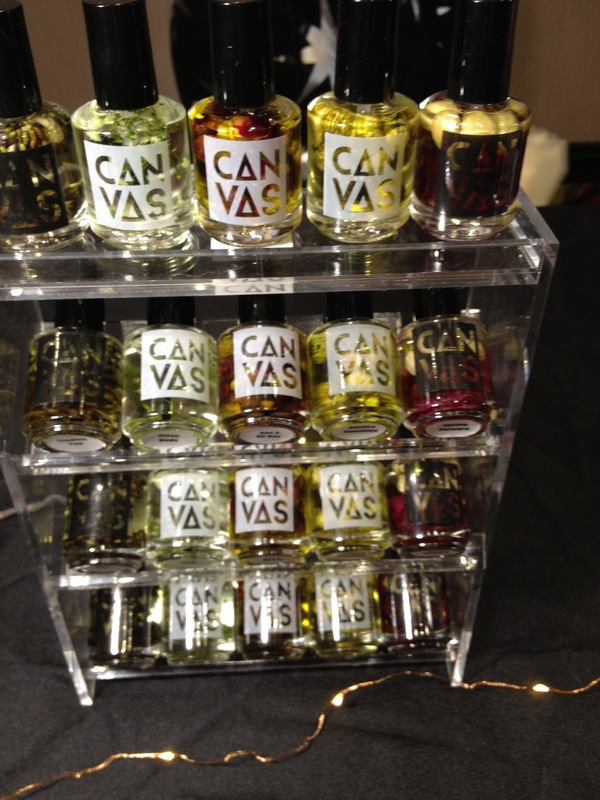 Also, CANVASLacquer gifted a scented oil. And the bottom row, the Hit the Bottle to the far right was part of the VIP bag that was included in this pix my accident! Needless to say, I'll be on a no by for a while! I've already worn quite a few of these and will be sharing the mani's in upcoming posts in the near future! This pix is a miscellaneous assortment of business cards collected during the event; the middle two polishes are those that I made during the polish making session. Music was provided by Jen Knight as noted above; I'm a great fan of her music so picked up a CD that was available at the event! I also picked up a bag of felts at the Ever After booth but forgot to add them in the haul post so added there here! 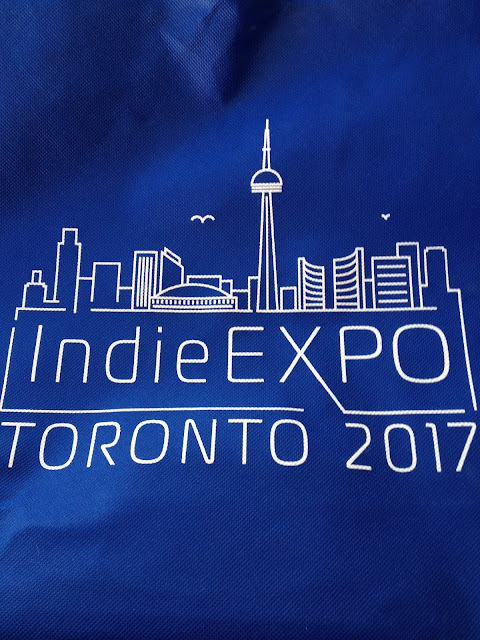 Overall, Indie Expo Canada 2017 was a roaring success and thank you to Pam, Tara and everyone else involved for their countless hours of work! As you can see, there were so many things to do, there were so many booths to visit with a wide assortment of products! It was fantastic to meet up with nail pals that I hadn't seen in some time, meeting some online 'friends' that I hadn't met in person before and met a lot of new people that I didn't even know before! 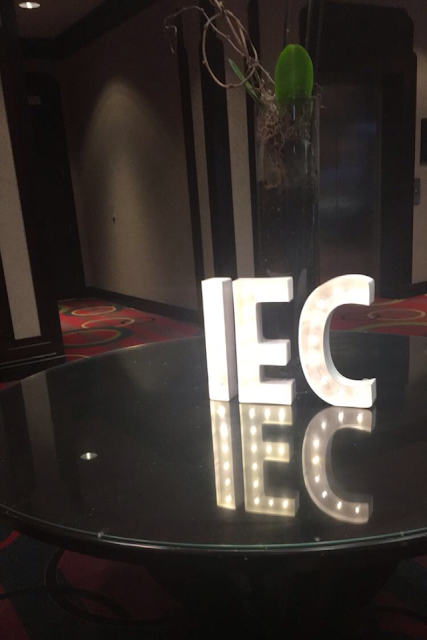 I can't wait for IEC 2018!